Norbert Hauser, the Board Chair of Global Fund has said it is very hard to answer why something like genocide happens. 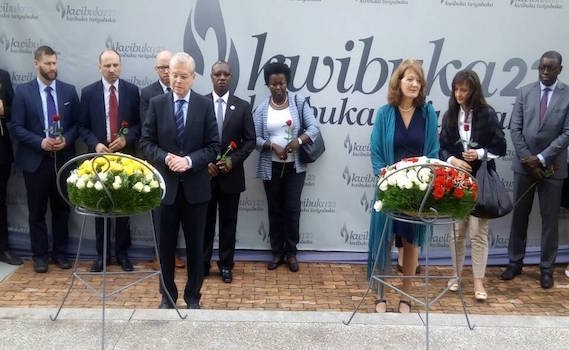 Hauser made the remarks on Monday morning while at the Kigali Genocide Memorial site where he and his delegation laid flowers on the bodies of the victims of the genocide against the Tutsi. “We know in history that it [genocide] happens, but still you don’t have an answer why it happens, and how people can treat neighbors and friends like they do,” he said. ”Humanity has engaged in genocidal acts too many times throughout history ”, reads his message he wrote in the visitors’ book, adding that “we must commit to end human suffering and it starts with each of us with our daily interaction with people around us”. 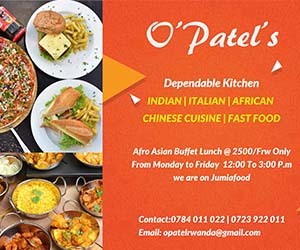 In his point of view, this world, and Rwanda in this case, peace needs one thing, “love your neighbour”. Dr Marisjke Wijnroks, who is the Chief of Staff at Global Fund, said that “investing in people and the health of people and education of people is an important contribution to a more peaceful future”. Minister Ndimubanzi said that Rwanda has a durable partnership in which Global Fund sponsors Rwanda in fighting AIDS, Malaria and Tuberculosis. “We hope this partnership will continue,” Ndimubanzi said. The Global Fund Board meeting to be held in Rwanda from May 2, 2017 is expected to bring in 250 participants from around the world.